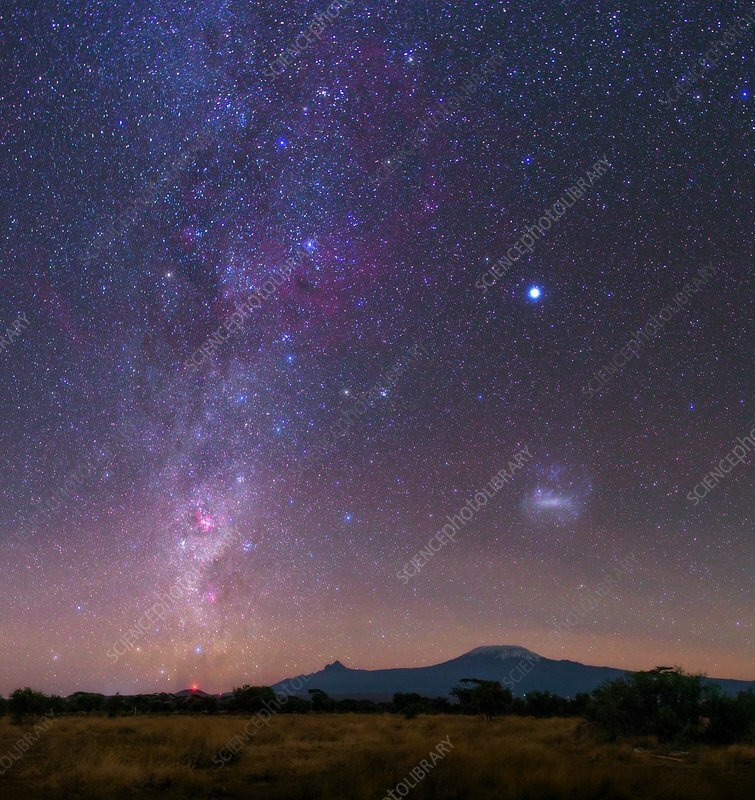 Night sky with our galaxy the Milky Way (viewed from within) and the Large Magellanic Cloud (lower right), our neighbouring dwarf galaxy. Canopus, the second brightest star in the night sky, is on the right. Also visible is the Carina nebula (red, lower left), in the Milky Way. In the background is Kilimanjaro, Africa's tallest mountain at 5,895 metres. Photographed in Amboseli National Park, Kenya.